The place of corporate social responsibility (CSR) cannot be under emphasized in business growth and development, as big companies have immensely become powerful entities to the point that they have frequently trumped the interests of sovereign nations. To this extent, when the list of companies that understand the place and importance of corporate social responsibility (CSR) in business growth and development in Nigeria is being compiled, Guinness Nigeria Plc will certainly make and be atop the ladder. The brewery company’s impactful CSR initiatives in the country are a testimony of its commitment to working with its stakeholders to make life better for the citizenry. The company has intervened in several communities across the country, thereby helping to enhance the socio-economic development and general wellbeing of the people. Through such interventions, businesses and livelihood of the beneficiaries have been significantly transformed. The interventions span across focal areas such as healthcare, water and sanitation, and economic empowerment. It is noteworthy that these areas of concentration are pivotal and instrumental to fostering socio-economic development and delivery of the Sustainable Development Goals (SDGs), which if combined would make Nigeria more investment friendly and a better place for its people. One of such initiatives is the Guinness Nigeria Eye Centre, which provides peerless, quality eye care services to people with sight impairment. The initiative, which cuts across the country, has received accolades from various state governments where these eye care centres are situated. Also, as part of it commitment to a healthy life, the brewery giant launched a life-saving initiative, tagged, ‘Water of Life’ project to further enhance access to safe drinking water in Nigeria. This came at the heels of the global call by the United Nations through its Millennium Development Goals, which aimed to halve the proportion of the population without access to safe drinking water, especially in Africa. Through this initiative, the brewery company has raised its ante as a socially responsible organization that cares about the overall wellbeing of Nigerians. The firm edged further to expand the scope of its ‘Water of Life’ project by addressing some of the major challenges encountered by smallholder farmers in the course of their farming operations in select rural communities in the country. To facilitate this intervention, Guinness Nigeria Plc partnered with the state ministries of agriculture in the Northern part of the country, thereby helping to irrigate farmlands that are confronted by adverse climatic conditions resulting in drought, among other weather-related challenges. In its recent move, the brewery took its CSR initiatives a notch higher, when it made another stride in the power sector through capacity building. 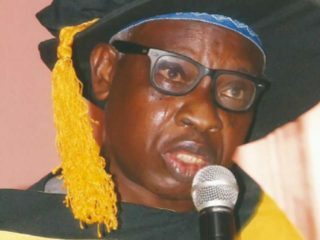 It entered a synergetic partnership with the National Power Training Institute of Nigeria (NAPTIN), an agency of the Federal Government of Nigeria, operating under the aegis of the Federal Ministry of Power, to train selected fresh engineering graduates on the requisite technical skills required to raise the socio-economic productivity in the power sector. This collaboration is coming on the heels of the present administration’s transformation agenda for economic recovery, which name power as one of the key focus areas in which it hoped to make immediate and lasting impact. 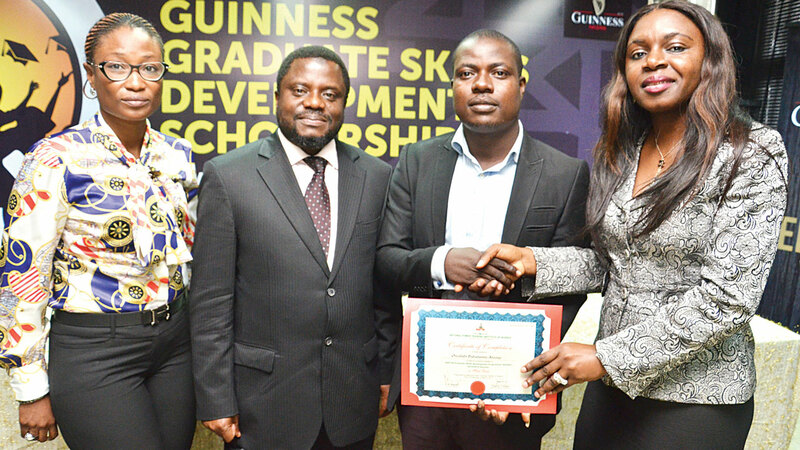 As part of its contribution to socio-economic development of the nation, the brewery, whose strategic vision is also woven around capacity building and empowerment, even though, it is not a major player in the power sector, sponsored 10 qualified engineers who participated in the Guinness Nigeria Graduate Skills Development Scholarship. The first set of engineers recently completed a one-year training programme, giving them the opportunity to upscale their technical skills in power generation, distribution and transmission. Upon completion of the programme, the beneficiaries have gained valuable skills that are invaluable for personal career progression and the growth and development of the industry. Speaking at the graduation ceremony, Corporate Relations Director, Guinness Nigeria Plc, Viola Graham-Douglas, said: “The objective of our collaboration with NAPTIN is to provide a pool of resourceful, competent and versatile engineers who can deliver peerless technical services to further shore up the government’s transformation agenda in the power sector”. Graham-Douglas commended the beneficiaries for putting in so much hardwork to earn their certification. “You scaled through the competitive selection process for the scholarship; you excelled in the class-based component of the training and you successfully fulfilled the requirements of the job placement programme. Indeed, you should all be proud of your achievements,” she said. 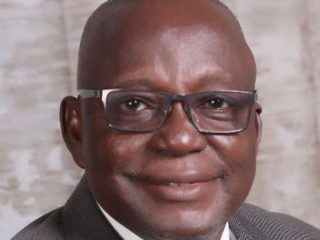 In his remarks, the Acting Director-General of NAPTIN, Mr Ahmed Bolaji Nagode, commended Guinness Nigeria Plc for its involvement in the socio-economic development of the nation. He explained that the participation of the foremost brewer is legendary and noteworthy owing to the fact that the company is not a core player in the power business ecosystem. He further noted that Guinness Nigeria’s commitment to youth development is commendable as it provides an example worthy of emulation by other non-core power sector players. Testimonies from the beneficiaries of the programme showed that the newly inducted and NAPTIN-certified engineers have greatly enhanced the skills and knowledge base in the power sector, and indeed have raised their game as far as efficient service delivery is concerned. Another beneficiary of the programme, Chigbundu Udo Uwaoma, on his part lauded the sponsor of the scheme for their intervention, describing the scheme as an eye-opener and a platform that seeks to bridge the gap between learning at the ivory tower and the realities in the real world. He added that with this newly acquired skill, he is set to explore the world. “After the completion of the programme, I am confident to say that I am ready for the challenges and the peculiaries of the real world, having passed through different levels of trainings, practical, and exposure to power generation, distribution and transmission. I wish to commend Guinness Nigeria Plc for coming to our aid. This, for me, is an icing on the cake,” Uwaoma said. 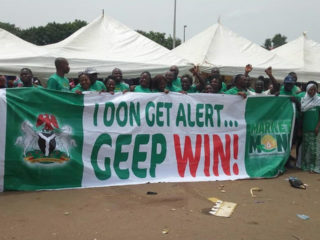 Meanwhile, stakeholders have expressed optimism about a better, stronger and more efficient power sector if only more organisations, not limited to the power sector, can take a cue from the Guinness Nigeria example, saying that this would also boosts government’s transformation agenda for the sector, which is believed to be the nucleus of industrial growth and development.